D shaped earphone with boom mic & PTT Part;- LHS01-D .. Replacement soft ear buds supplied as a pair in a pack, to fit on our Two wire clear acou.. 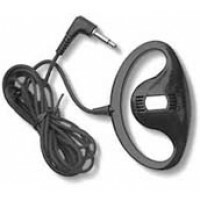 The Throat mic is a comfortable piece of equipment with a soft rubber D-ring earphone, Motorola 2-pi.. Compact audio adaptor for use with Motorola GP 340. (Takes 2 pin Motorola Connector) The adaptor ..
A budget priced mini lapel speaker microphone with very good audio quality. Features micro coil cabl..
Earbud With PTT Microphone for to fit Motorola Tlkr T5.T6,T7,T8,T60,T80, T80 Extreme,XT180 ,XTR,&nbs..
Lightweight Headset with Boom Microphone PART:- 00179 To fit Motorola Tlkr T5, T6,..